Combining dedicated design detailing with flexible, space saving savvy, this modern marvel is top shelf all the way! 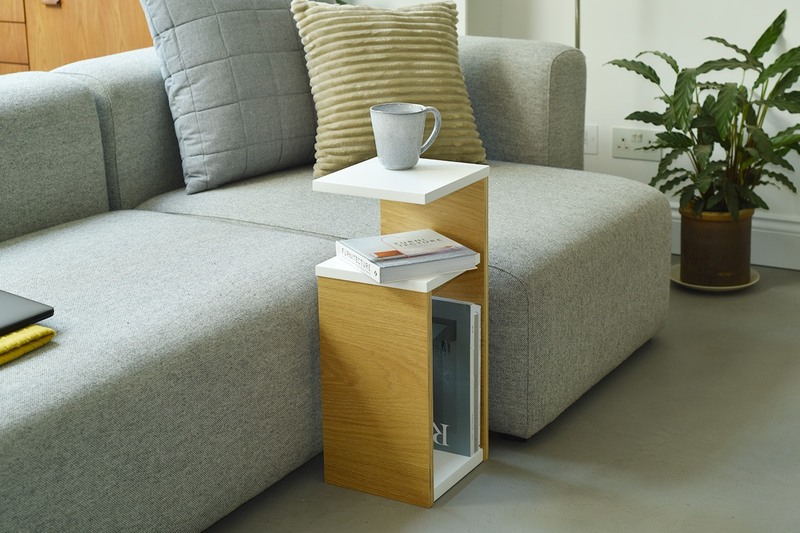 Ideally designed for use as a side table by the sofa or bed, it provides three useful storage shelves so is equipped to store a pile of books, lamp, stack of magazines - and the obligatory cuppa, of course! 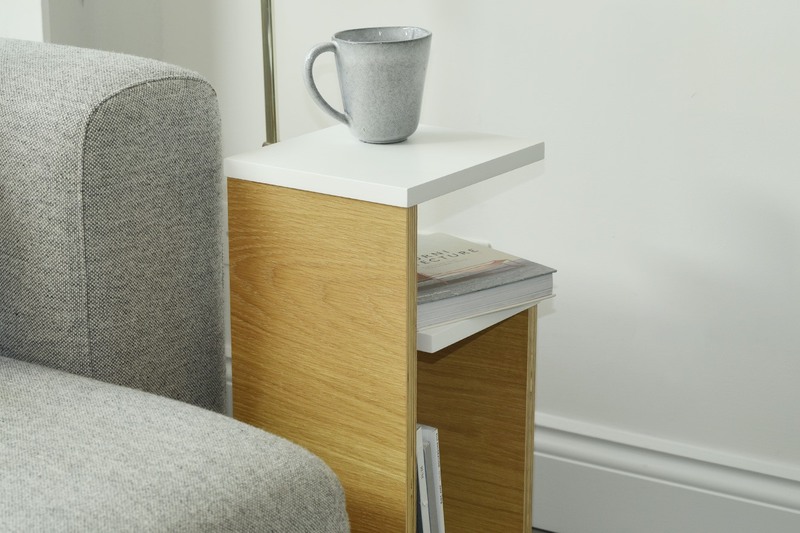 Made from oak veneered birch plywood and white painted MDF, this is skinny shelving supreme!